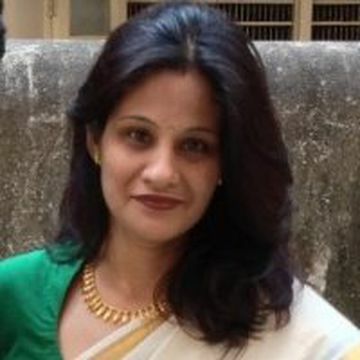 Priya Badshah is Head- Corporate Communications at UBM India. A group company of UBM Plc which is listed on the London Stock Exchange, UBM India provides B2B trade platforms to diverse industries in India. At UBM India, Priya spearheads PR, Corporate Affairs and Internal Communications for its various business divisions. Her expertise as a Corporate Communication specialist stems from more than a decade, engaged in management of communication needs of leading companies in India like Capgemini, Max New York Life, Polaris, Tech Mahindra and 20:20 Media. Her areas of specialisation include Public Relations, Employee Communication and facets of Marketing. Priya has led successful PR programs, Brand management campaigns and CSR drives, integrating internal and external communication in the companies she has worked with. Building Brands: Companies & Individuals is her interest and as a frequent commentator, Motherhood, Work-life Balance, CSR, People & Relationships are some of her pet subjects. I am a Communications Professional with over a decade of experience as a PR specialist, engaged in management of communication needs of leading companies in India like Capgemini, Max Life, Polaris and Tech Mahindra. Presently I head Corporate Communications at UBM India . My areas of specialisation include Public Relations (CEO/MD & organisations), Employee Communication and facets of Marketing. Have led successful PR programs, Brand management campaigns and CSR drives, integrating internal and external communication for the companies I have worked with. Born and brought up in Bombay. Recently moved from Queen’s necklace to the city of pearls with husband, two school going daughters and my support- system-mom. My heart is where my home is. When not working, enjoy movies with husband, art and craft with kids and simple stuff like churning weekend special meals for family or doing up my house. Yes, am Houseproud and a Food enthusiast. People 'n' Relationships fascinate me. Lastly, very grateful for the life I have and conscious to make the most of it. A Yin- Yang wherein I enjoy the interplay of work and home. The balance in the interplay is something which I bring in, with my own priorities based beliefs and actions. Yes, there are times, I place my work on the front seat while home takes a back seat and vice versa. As long as the switching is fair and healthy, the ride continuous to be an enjoyable one. The good thing about balancing work and home is that we therefore tend to explore and seek quality and discipline in our personal and professional lives. I travel alternate week on work and still manage to have quality and fun time with my kids and husband. The diversity of it often makes me wonder and smile: a PR head of an MNC on weekdays and a crazy mom on weekends. And yes, I owe my work-life balance to the consistent support from my organisations, husband and mom. How has brand communication changed in the span of 10 years? The world of Advertising, Marketing and Branding has witnessed a glaring leap over the last decade. Consumers have evolved and so has their awareness level: the choices they have at their disposal and the speed and convenience at which they can have what they want. So has the market and the offerings it offers. Against this landscape, Brands have no choice but to be heard at the right volume, tone, frequency and with the right messaging. The last decade has seen an influx of digital platforms hence social media and far more customised communication by brands in India and abroad. What according to you is the best way for a woman to come back in this field after a break? When there is a will, there is a way. Its clichéd but it’s true. Especially for a comeback. Twice, I have had work breaks in my professional life, both unexpected and dramatic to say the least. The first time, met with a road accident with a broken pelvic and was bed ridden for months. Limped my way back. The second time, battled a tumour and hence bed ridden again for months. Bounced back after a year. Both the times, the “will” remained intact. So have the will, make way for that will and rest, then has no choice but to fall in place, both, people and conditions. Yes, easier said than done. But it’s absolutely doable. Because it depends on YOU. While looking at a comeback, read, read and read. Update yourself, reach out and connect with the fraternity (there is no dearth of helpful people around). Social media today is thronging with experts, platforms and communities. More importantly, while weighing the comeback options, focus on the career ahead, the jobs will have to align accordingly. The name SHEROES itself suggests that you have what it takes. Compliment it with relentless and dedicated efforts in whatever you take up. The good news is that you are the “in-charge” of the choices you make. So make it wisely. Be it at workplace or home. And lead. Rest, like I said earlier, will have no choice but to follow.